* 6 Cylinder engine * * This 2019 INFINITI Q70 3.7 LUXE AWD comes with Bose speakers for the best sound experience around * * 2019 ** INFINITI * * Q70 * It has a 6 Cylinder engine. For a good-looking vehicle from the inside out, this car features a beautiful blk obsidian exterior along with a graph lth-appointed interior. Interested? Call today and take it for a spin! * 6 Cylinder engine * * This 2019 INFINITI Q70 3.7 LUXE AWD comes with Bose speakers for the best sound experience around * * 2019 ** INFINITI * * Q70 * It comes with a 6 Cylinder engine. A timeless blk obsidian exterior and a graph lth-appointed interior are just what you need in your next ride. Good cars sell fast! Give us a call and schedule an appointment today! 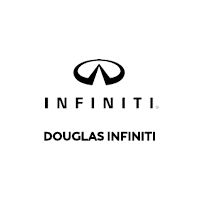 * 6 Cylinder engine * * This 2019 INFINITI Q70 3.7 LUXE AWD comes with Bose speakers for the best sound experience around * * 2019 ** INFINITI * * Q70 * It has a 6 Cylinder engine. For a good-looking vehicle from the inside out, this car features a sleek hermosa blue exterior along with a graph lth-appointed interior. Good cars sell fast! Give us a call and schedule an appointment today! * 6 Cylinder engine * * This 2019 INFINITI Q70 3.7 LUXE AWD comes with Bose speakers for the best sound experience around * * 2019 ** INFINITI * * Q70 * It has a 6 Cylinder engine. It has a stunning blk obsidian exterior and a graph lth-appointed interior. Come see us today and see this one in person! * 6 Cylinder engine * * This 2019 INFINITI Q70 3.7 LUXE AWD comes with Bose speakers for the best sound experience around * * 2019 ** INFINITI * * Q70 * It comes with a 6 Cylinder engine. It has a charming hermosa blue exterior and a graph lth-appointed interior. Want to learn more? Call today for more information. * 6 Cylinder engine * * This 2019 INFINITI Q70 3.7 LUXE AWD comes with Bose speakers for the best sound experience around * * 2019 ** INFINITI * * Q70 * It comes with a 6 Cylinder engine. For a good-looking vehicle from the inside out, this car features a ravishing majestic wht exterior along with a wheat lth-appointed interior. Call today to schedule your test drive! * 6 Cylinder engine * * This 2019 INFINITI Q70 3.7 LUXE AWD comes with Bose speakers for the best sound experience around * * 2019 ** INFINITI * * Q70 * It has a 6 Cylinder engine. It has a sleek blk obsidian exterior and a graph lth-appointed interior. Interested? Don't let it slip away! Call today for a test drive.